Humber College Institute of Technology and Advanced Learning is one of Canada’s leading educational institutions. 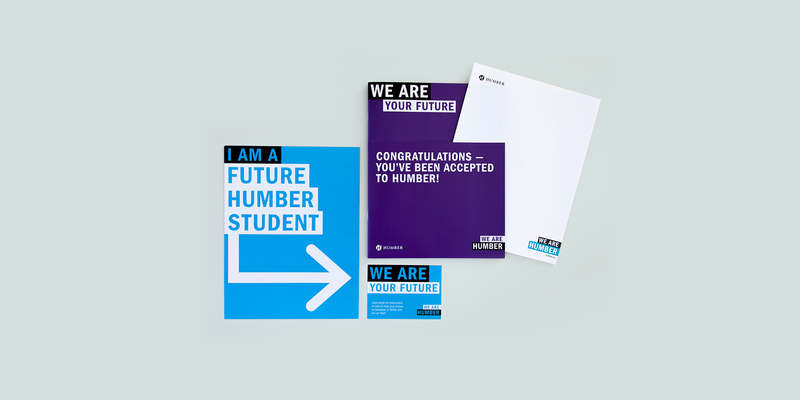 As part of the student recruitment strategy, the design of the Welcome Package has evolved to incorporate Humber’s refreshed brand guidelines. Through the consistent application of the brand architecture in an interactive format, the viewer engages with the brochure on two levels. These include a narrative of powerful “we are” statements communicating the promise and benefits of a Humber education in an interactive format paired with useful supporting information on becoming a Humber student.